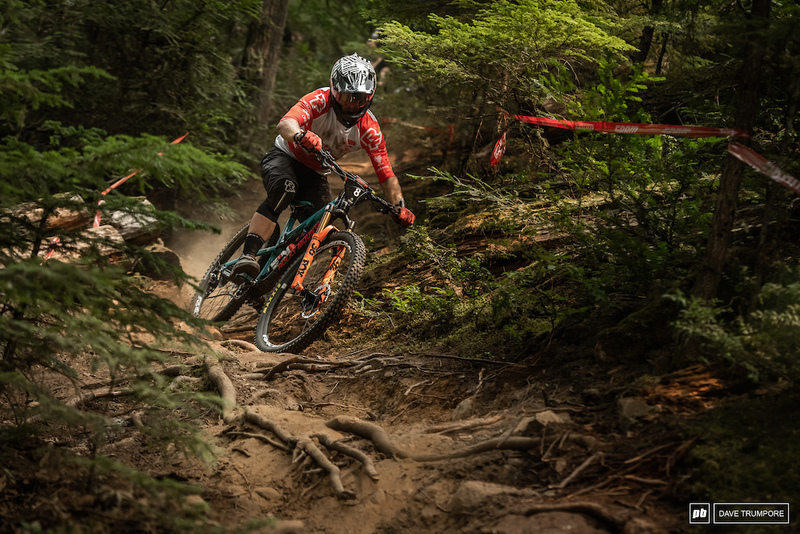 It’s been a long winter, but the Enduro World Series is back, and the 2019 season kicks off this weekend with the Giant Toa Enduro presented by CamelBak in Rotorua, New Zealand. Taking place in the famous Whakarewarewa Forest, competitors will be taking on five stages in this one day race that will test riders over a variety of terrain from steep and technical to fast and physical. It's the third time the series has visited Rotorua alongside Crankworx and this classic venue always delivers incredible racing, and this Sunday is stacking up to be another epic start to the season. Mark Scott loved the mud and finished 10th last time out in Rotorua. The women’s competition has arguably never been more competitive, with the depth of talent running deeper than ever before. Cecile may be out for a while as she continues to heal from that horrific training crash, and we wish her the best in her recovery. Keep an eye out for her in Rotorua though - she's made the journey to New Zealand and will be cheering from the other side of the tape this weekend. Isabeau Courdurier (Intense Mavic Collective) will take to the start line on Sunday the favourite, keen to shake the memories of her 2017 Rotorua experience when she was forced to withdraw from the race due to illness. However, she then went straight to Tasmania and took her only EWS win to date - a strong showing at round one could set her up for her best season yet - although she’s got some pretty fierce competition lining up behind her. Courdurier cutting tight on steep switchbacks in Petzen. Katy Winton (Trek Factory Racing) has finished the last two seasons third in the overall rankings, and she had her first stage win in Rotorua in 2017, so expect a strong showing from her this weekend. 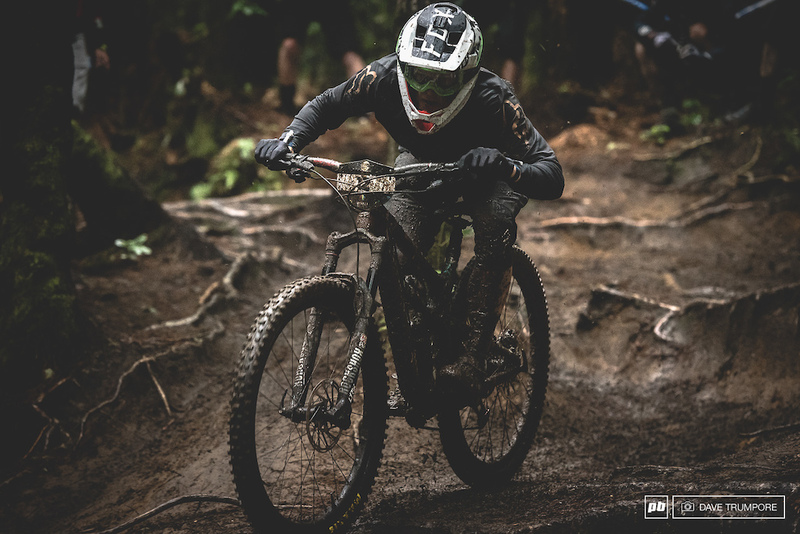 Ines Thoma (Canyon Factory Racing) had a rocky 2018 thanks to injury, but she can never be discounted from a podium finish, and her win at the NZ Enduro earlier in the month shows she’s back on top form. The usual top ten suspects will be lining up too - Andreane Lanthier-Nadeau (Rocky Mountain Race Face Enduro Team), Anita and Caro Gehrig (Norco Twins Racing), Bex Baraona (Ibis Cycles Enduro Race Team), Rae Morrison (Liv Racing) and Noga Korem (GT Factory Racing) are all serious podium contenders. Katy Winton on her way to a first ever EWS stage win in Rotorua, 2017. However, there’s some new (but very familiar) faces being thrown into the mix this year that are more than capable of keeping the old guard on their toes. 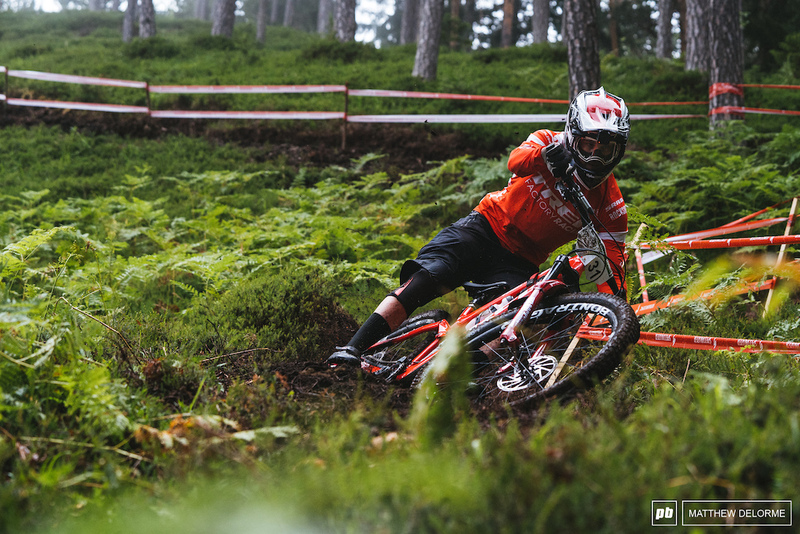 Former UCI Downhill World Champion Miranda Miller (Kona Factory Team) has dabbled in the EWS before, but this is the first time she’s committed to a whole season and we’re excited to see what she can do. Another well known name we’ll see this season is Jill Kintner - this legend of the sport has competed in BMX at the Olympics, has multiple 4X World Championships to her name and for the first time has shifted her focus to the EWS - will she be able to add enduro to her long list of titles? Jill Kintner making the move over from Crankworx. Chasing them down will be Ella Conolly, who moves up from the U21 category. This Scottish rider is a name to watch for sure - she’s the only rider who could match Cecile Ravanel’s perfect season last year, earning her the U21 World Champion title in the process. 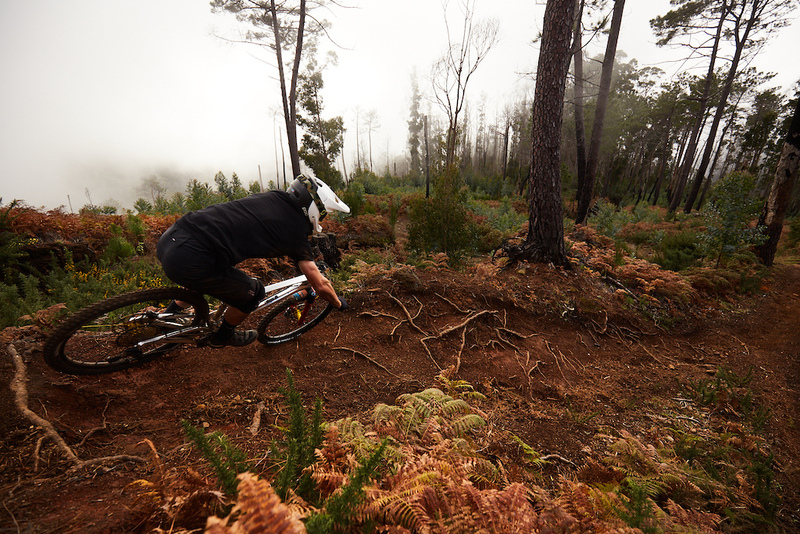 Also keep an eye out for Cube Action Team’s latest signing Sofia Wiedenroth. 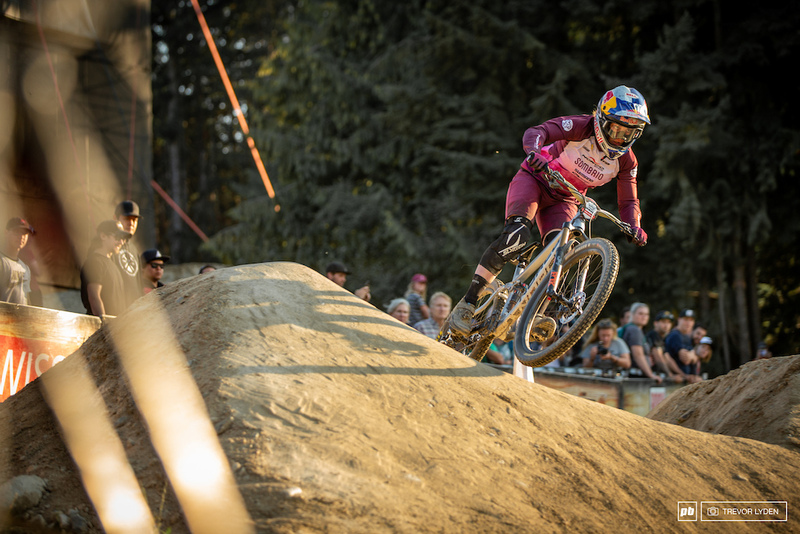 The German rider has a slew of top ten UCI MTB XCO finishes to her name so you can be assured her fitness will be on point coming into the new season. 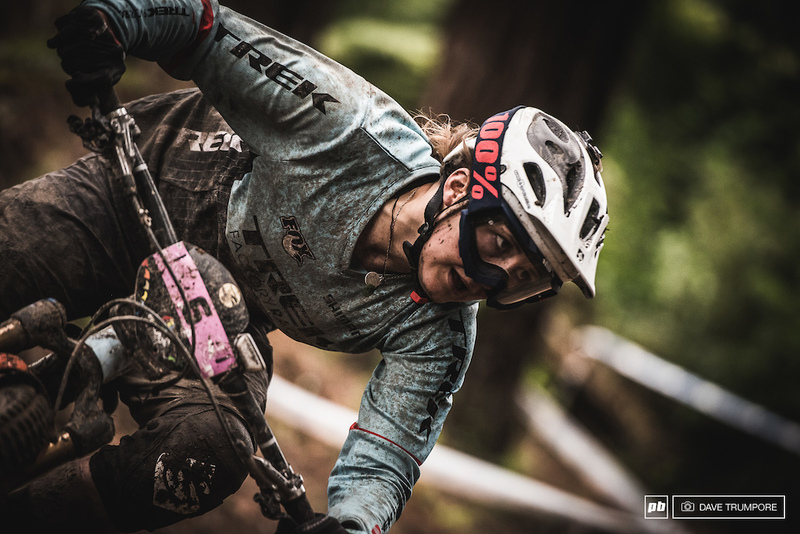 Last but by no means least keep an eye out for Becky Cook (Orbea Enduro Team) who finished sixth in her first full EWS season - we suspect she could well climb even higher in the rankings this year. Ella Connolly is one to watch this year. 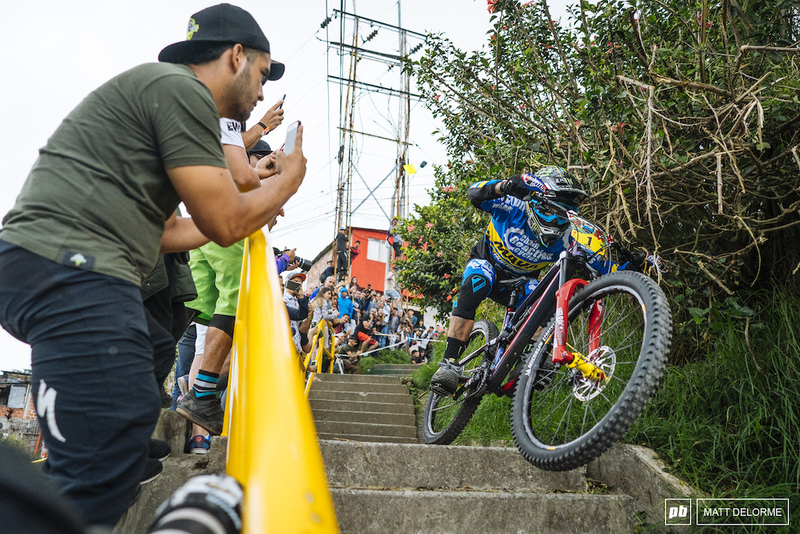 Meanwhile in the men’s competition all eyes will be on Sam Hill (Chain Reaction Cycles) as he takes to the start line on Sunday with a weight of expectation on his shoulders as the two times Champ. Only a fool would best against the Aussie legend making it a hat trick, but there’s plenty of riders out there who will happily deny him the title. Sam Hill with eyes on the prize this year. First up is Martin Maes (GT Factory Racing) - he may not have finished the season the champion, but he was very much the man of the moment. Those back to back wins at La Bresse Downhill World Cup and the Whistler EWS have cemented his place in mountain biking’s history, but last season was no walk in the park for the young Belgian - a dislocated shoulder at round two in Colombia and then a broken hand in Finale saw Martin’s chance at the Championship ebb away. But he’s back for Rotorua this weekend and will surely be the man playing on Hill’s mind. 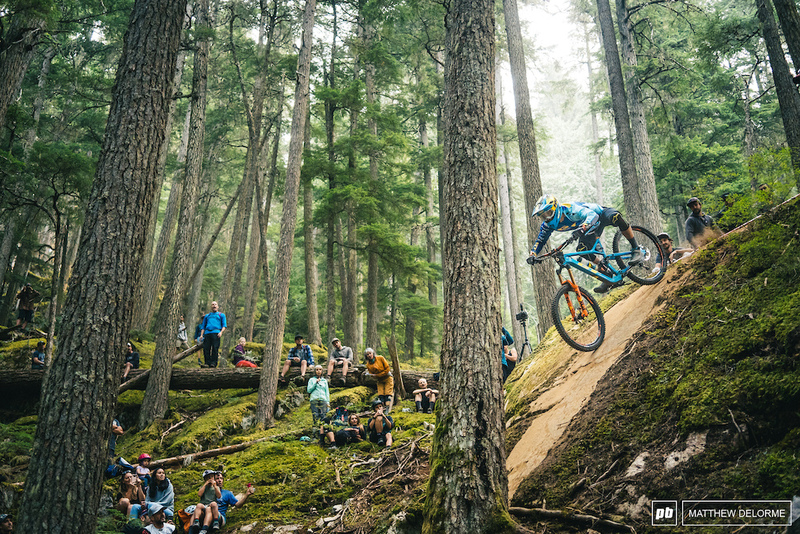 Martin Maes was on another level in Whistler. Also back from injury is Adrien Dailly (Lapierre). The diminutive Frenchman is no stranger to the EWS podium after successive wins in the U21 category saw him crowned the Champion in 2016, and then went on take his first of three wins in the Men’s category in 2017. He’s been out with an elbow injury and hasn’t raced since Olargues last year, but he’s back and will be keen to make his mark on the podium once again. Fellow Frenchman Youn Deniaud had a standout season last year, which saw him pick up the EWS Breakthrough of the Year Award - and this season he has the backing of a pro team after being signed to the Giant Factory Off-Road Team. Dailly is poised to mount another title challenge after missing most of last year's series. Damien Oton (Unior Devinci Factory Racing) is normally a sure bet for the top ten come race weekend - but he broke his scaphoid not long after he arrived in New Zealand and so will miss the first two rounds. Greg Callaghan (Cube Action Team), Robin Wallner (Ibis Cycles Enduro Race Team), Florian Nicolai (Canyon Factory Racing), Mark Scott (Santa Cruz) and Jesse Melamed (Rocky Mountain Race Face Enduro Team) have all been on an EWS podium before, and will all be gunning to do so again this year. Dimitri Tordo (Canyon Factory Racing) is fresh from his NZ Enduro victory and has been steadily climbing the rankings for the last couple of years - this could well be the year he sees his first podium finish. U21 Champ Elliot Heap moves into the Men’s category - and Sam Hill’s young team mate is no slouch - he posted a couple of times last year that would have put him top ten in the scratch results. Trek Factory Racing’s Ruaridh Cunningham missed the first round in Chile completely due to a shoulder injury but still finished the season in a very respectable 16th place, including a fourth place finish in Petzen/Jamnica - another name that has the potential to make his mark this year. Add Ruaridh Cunningham to your list of potential breakout stars this year. 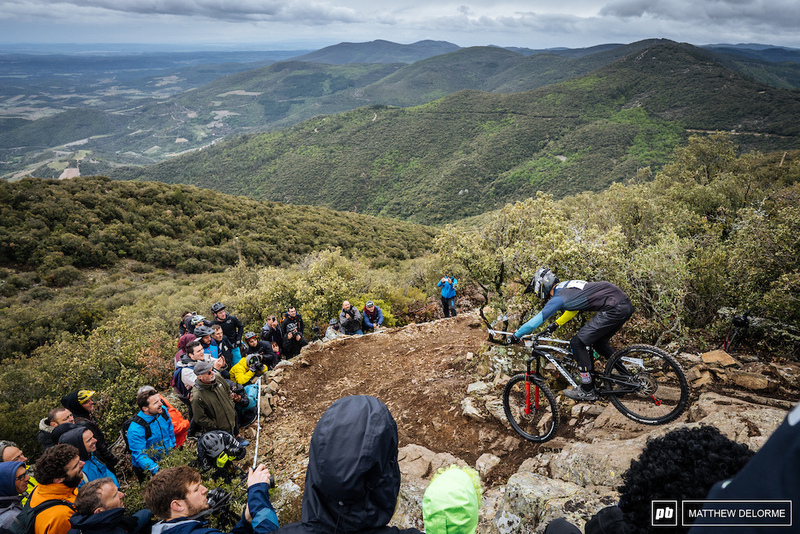 In the U21 Category this year keep an eye out for Commencal Vallnord Enduro team’s latest signing Antoine Vidal - he’s the current French Champion and managed 12th place in Finale last year, which is his only EWS to date. Duncan Nason (Yeti/Fox Shox Factory Racing) scored the win in both Chile and France in 2018 and is a strong contender for the overall this year too. Nathan Secondi of France was on the podium twice last season and he’s more than capable of doing the same this year. 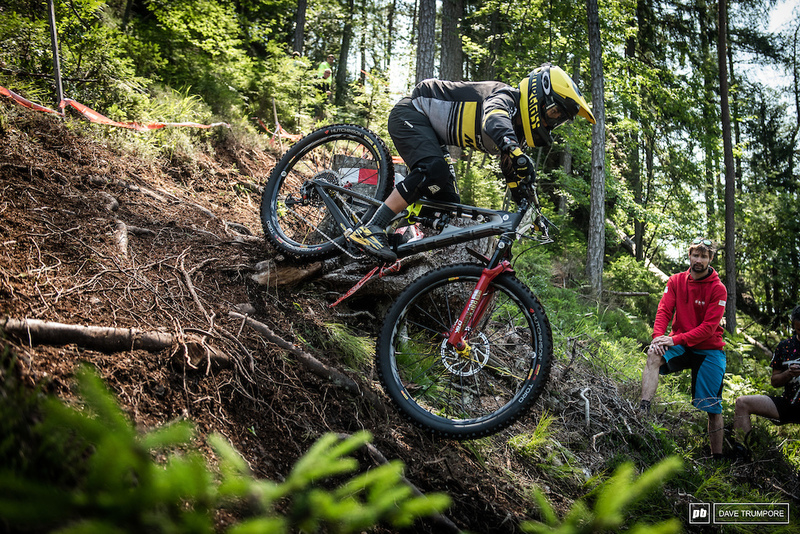 It would be hard to bet against Yana Dobnig (Team Dorrong Enduro) in the U21 women this year - she took part in just two EWS races last year end finished in the top three at both. Ireland’s Leah Maunsell is also a contender for overall, but she’ll face tough competition from over the Irish Sea, as British riders Polly Henderson and Harriet Harnden take to the start line at select races this year. Yana Dobnig is strong favourite for the Under 21 series. Reigning Champ Karim Amour (Miranda Racing Team) remains hot favourite in the Master Men - he’s dominated the category last season and we don’t expect that to change this time around. Former Champs Michael Broderick and Milan Cizinsky will be putting in the hard yards trying to stop Amour from taking that title once more. Former Champ Mary Mcconneloug will be looking to reclaim her crown in the Master Women - especially as last year’s series winner Melissa Newell has opted to race in the Women’s category this season. 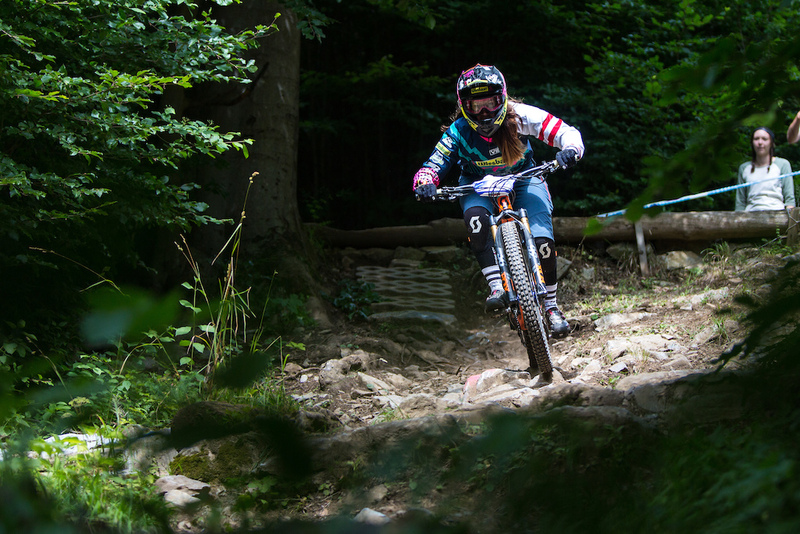 Italian based Louise Paulin, originally from Sweden, won the only EWS she competed in last season, winningly convincingly in her adopted home town of Finale. She's taking on the whole season this year and is a definite contender for the overall. 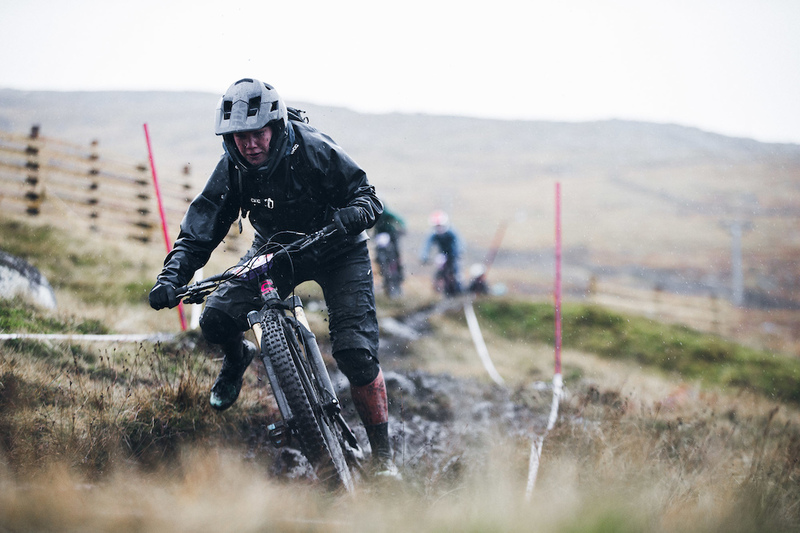 In the team competition last year’s winners Canyon Factory Enduro are fielding a strong team once again, but face stiff competition from runners up Ibis Factory Enduro Race Team. The addition of an extra team member in the shape of Sofia Wiedenroth could bolster Cube Action Team’s chances. And Specialized have a new line up too, with Killian Callaghan and Maxime Chapuis leading the charge, alongside U21 rider Francescu Camoin. Pole Enduro Race Team will be making their EWS debut this year, with Kiwi Joe Nation and Brit Leigh Johnson on the roster, under the guidance of none other than Matti Lehikoinen who has been appointed team manager. The Pole team have already made a mark. But with so many variables at play, it’s almost impossible to tell how the season will play out, which should make for some very exciting racing. To keep up with all the action from Rotorua this weekend make sure you tune into enduroworldseries.com for live timing and the race feed from 9am NZDT. Enduro seems to be leading the way with 2 wheeled offroad racing these days. Cant wait for the season to start. @mkotowski1: unfortunately "needing to watch it" is exactly what led to the dumbing down of DH tracks. Women’s race looks dope. Jill and Miranda pin it! Keep that photo of Martin Maes going around and he'll be dubbed Frog-man. Why is Jill not available on the Fantasy lineups??? Did I miss any mention of Richie Rude??? and he is in Portugal ? no one mentions anything about him not racing rd1? holy shizzz JIll Kintner in EWS!!! Oh my god oh my god oh my god! This means northern hemisphere spring is heeeeer! Also. Racing starts nooow!!!! Yes! It was almost 80F today, sunny, blue sky, no clouds, been that way for a few days now. I absolutely can't believe it... just dumbfounded... a couple weeks ago it was 50F colder and snowing/freezing rain. @DirtMcGuirk07: I said been that way for a few days. I know you're shortsighted and have amnesia, so let me remind you of the very recent snow, fog, hail, rain, and cold immediately before this. Go away troll. Oh yes. Good to be back racing! EWS without Rude isn't the same. Bummer. Anyone know why Richie isn't racing? Probably to avoid extending any forced time off from racing as a consequence of the failed substance test, usually if there are repramands they commonly begin at last date of completion, like in motocross. But, that’s just my speculation, it’s his business.